Noken Porcelanosa Bathrooms takes another leap into the future in each of the innovations showcased at the PORCELANOSA Grupo International Exhibition. A journey through the trends that bring us closer to the bathroom of tomorrow with materials, designs and cutting-edge technology. Under this premise the Square structure emerges. 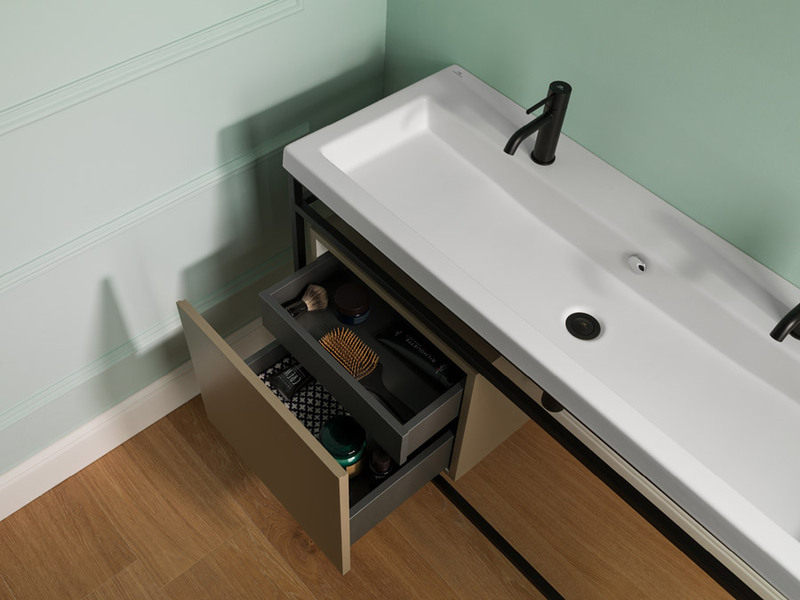 A design that allows for a thousand combinations and this way, a custom-made bathroom is achieved. 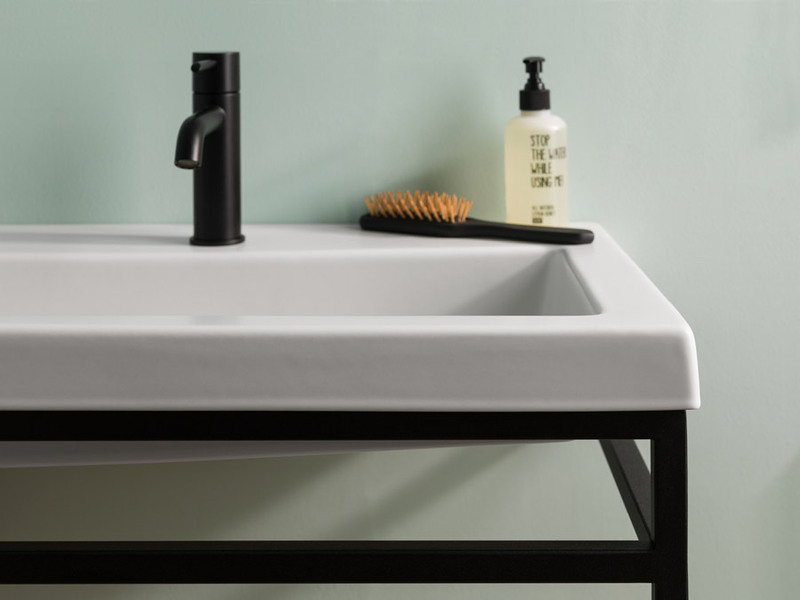 Thanks to its different compositions, the Square collection becomes the perfect solution for customizing the bathroom according to the needs of each user. It is adapted in this way to all types of distributions and measurements. 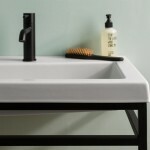 Square, in a metallic structure in a black matt, makes this piece a hallmark of industrial decoration in the bathroom. 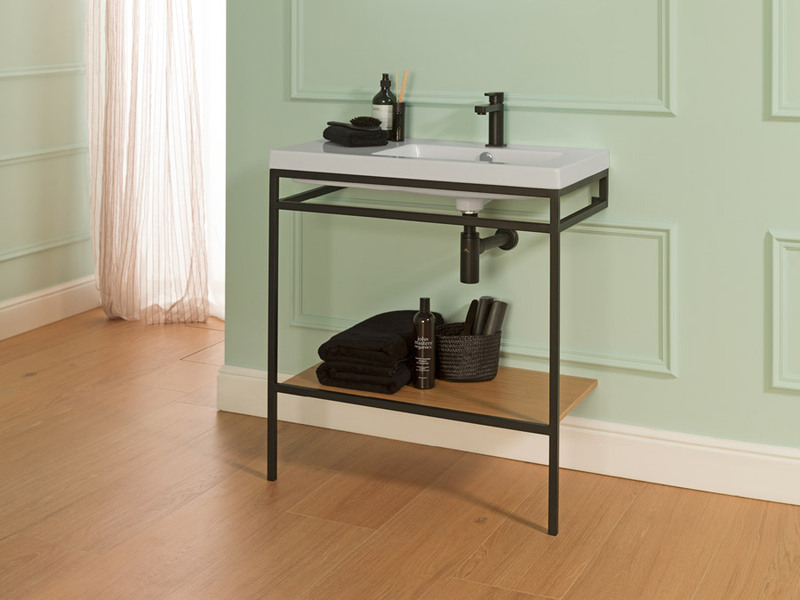 Merging two of the most fashionable trends this season, the black matt finish and the Metal & Wood industrial binomial with a shelf that can be in natural oak and in a taupe finish. The metallic structure is available in several sizes: 60cm, 80cm, 100cm and 120cm. All of them stand out because of its bare and apparently incomplete structure, setting the trend in bathroom furniture this season. 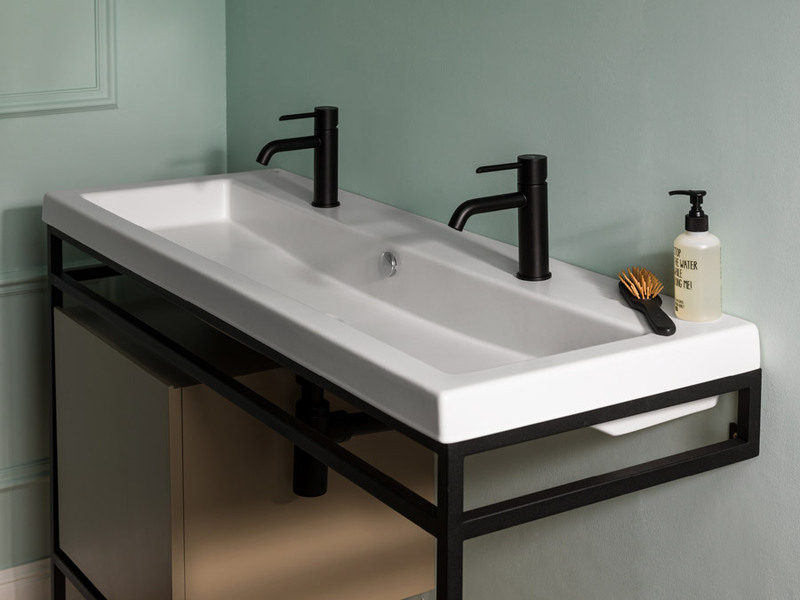 As well as that, Square offers the possibility of a lacquered module with different units being included, and furthermore, it is available in several soft finishes, such as white and taupe. 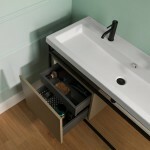 As well as that, it is ideal for bathrooms where extra storage is needed. 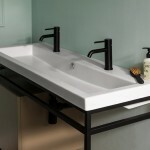 In addition, the Square collection has a mirror with an aluminum frame in a black matt finish that allows for a unique atmosphere to be created. A shade which has versatility as the main advantage because it can be perfectly incorporated in industrial or contemporary style bathrooms, as well as in classic-style bathrooms. Elegant, modern and classic, the Square structure is an ideal alternative for customizing bathrooms in such a way that the end result oozes both character and personality.